Figure 9. 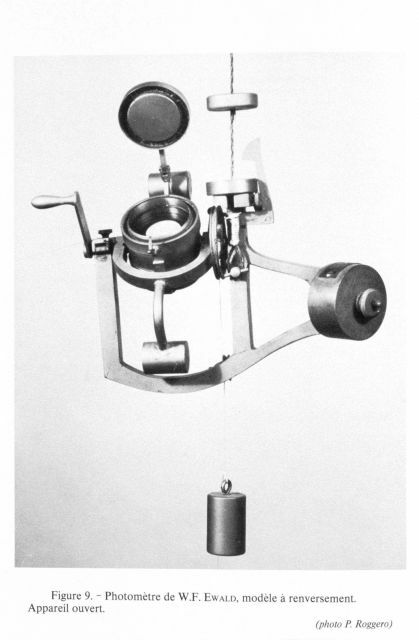 W. F. Ewald’s photometer. The photometer is inverted with the lens uncovered. Invented by Wolfgang F. Ewald about 1908. An earlier instrument of this type is not part of the museum collection. The test of the original was in a lake near Munich and then in a fjord near Bergen.